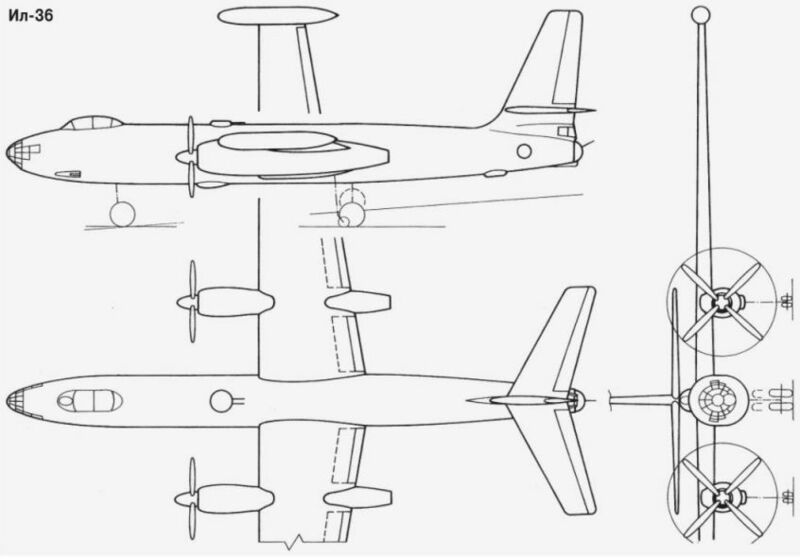 The Ilyushin Il-32 was one of the very few all-metal transport gliders built, and competed unsucessfully with the Yak-14 in the late 'forties. 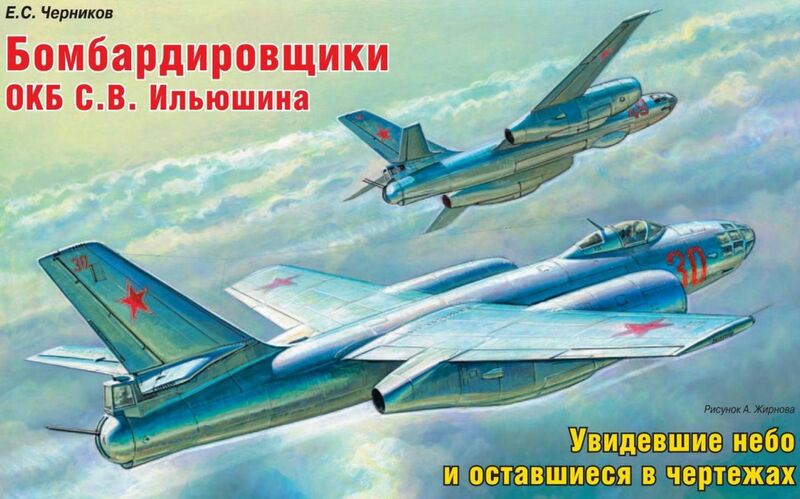 Зарубежные специалисты, посетившие в 1956 году Кубинку и увидевшие Ил-54, долго именовали его Ил-149. 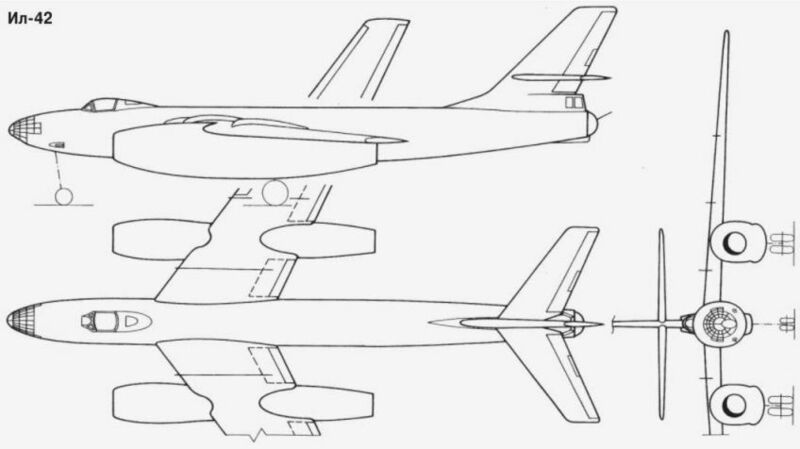 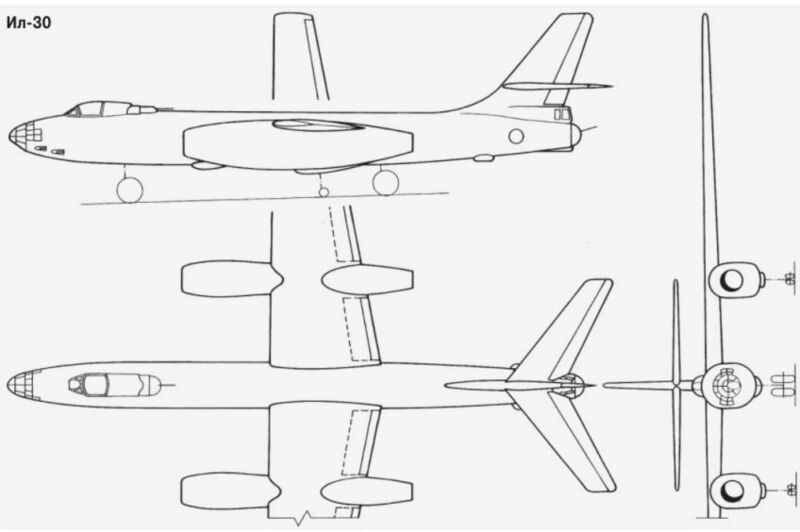 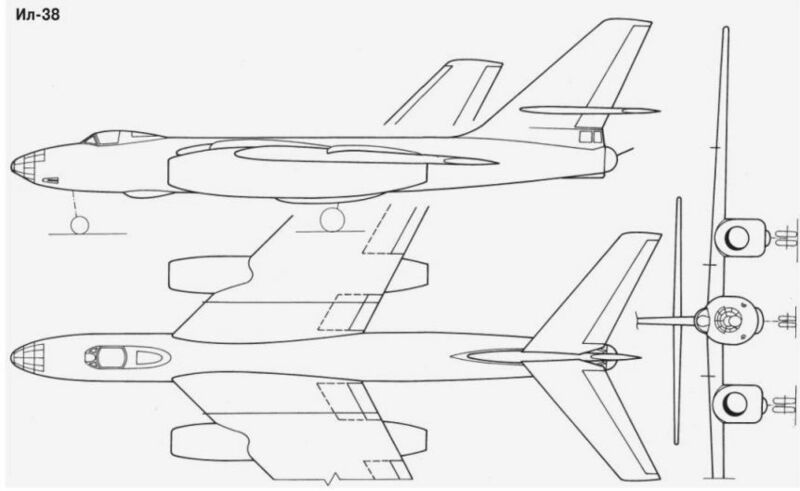 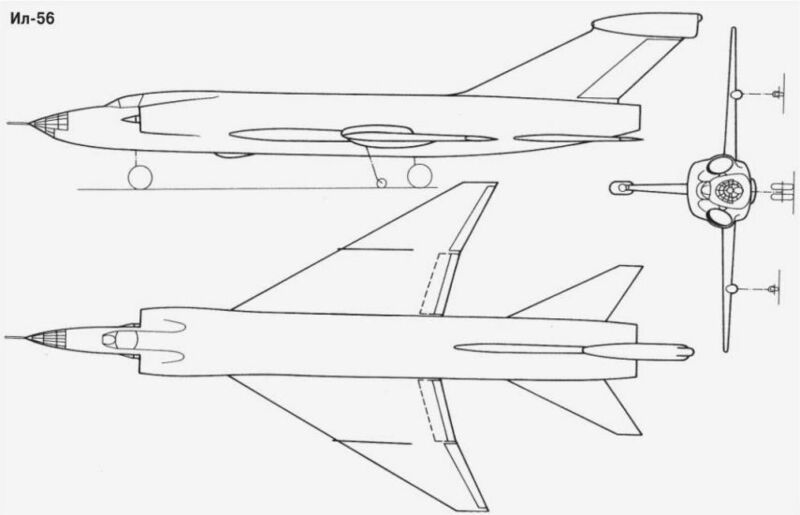 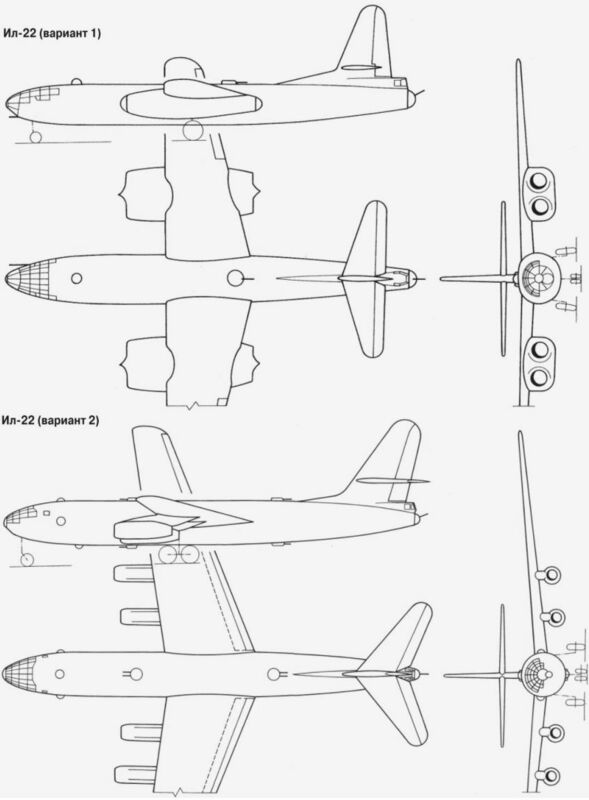 Powered by two 11,023 lb (5 000 kg) AL-5s, the Ilyushin Il-46 competed with the Tupolev Tu-16 for production orders. 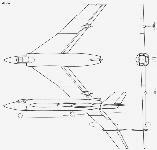 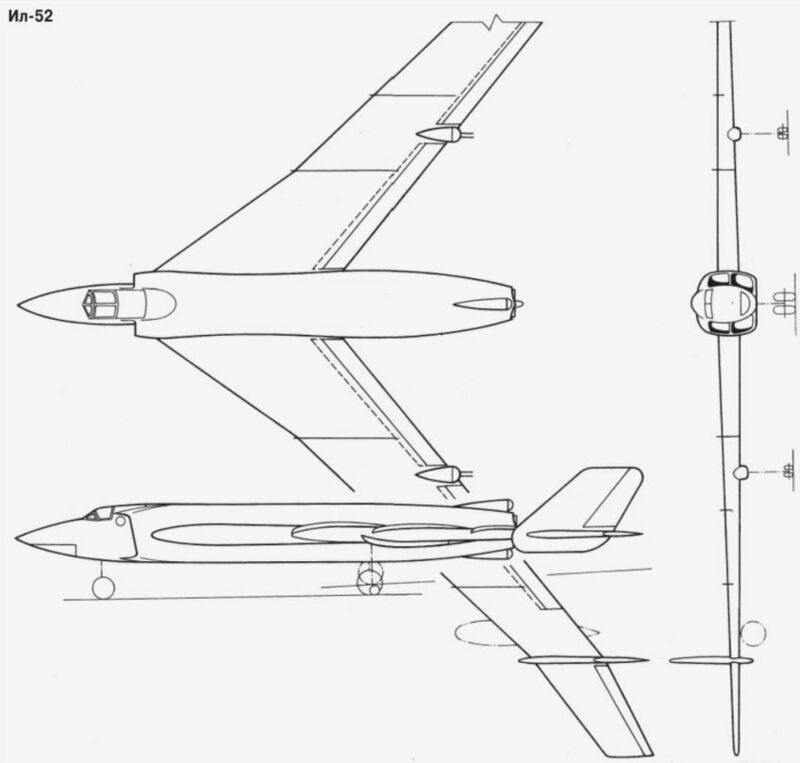 Maximum speed was 576 mph (928 km/h) at 9,840 ft (3 000 m), and up to 13,228 lb (6 000 kg) of bombs could be carried. 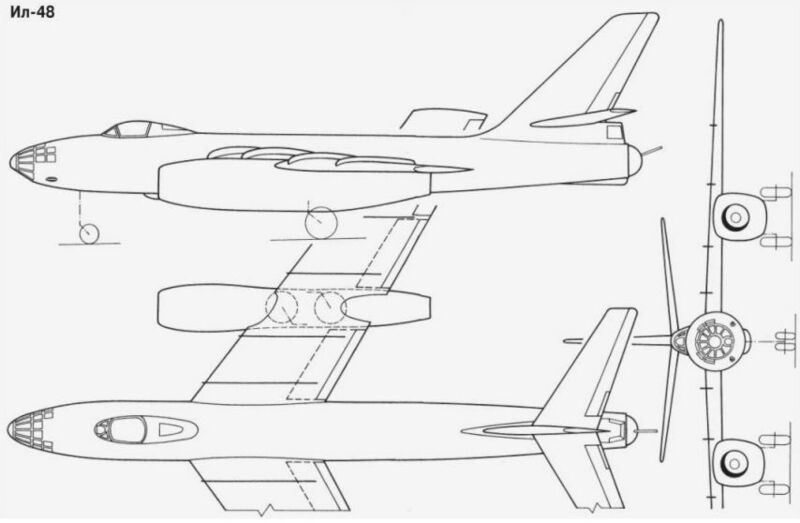 Maximum range with a 6,614-lb (3 000-kg) bomb load was 3,076 miles (4 950 km), a crew of three was carried, and empty and loaded weights were 54,156 lb (24 565 kg) and 92,594 lb (42 000 kg) respectively, while span and length were 98 ft 5 1/8 in (30,00 m) and 88 ft 7 1/8 in (27,00 m). 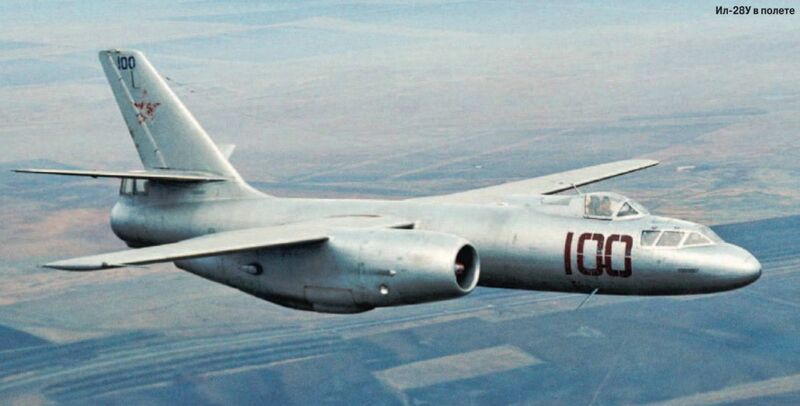 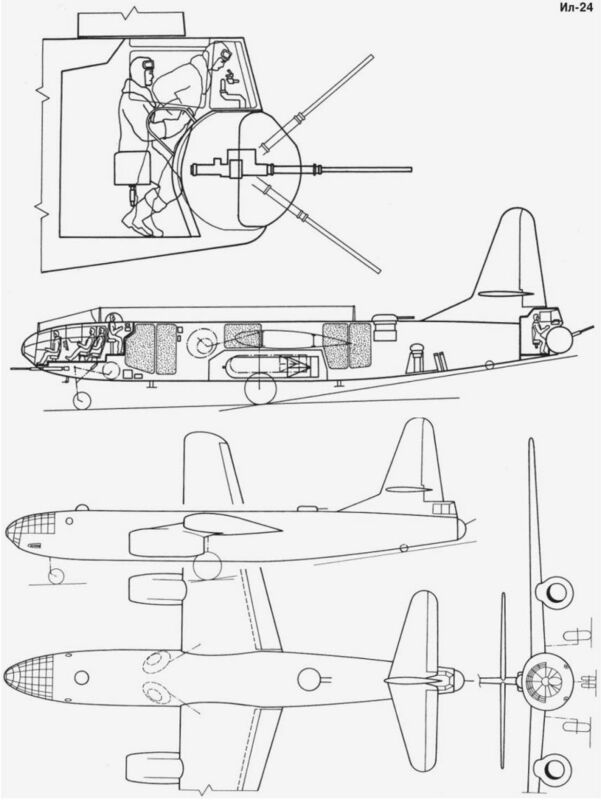 The Il-46 commenced its flight test programme on 15 August 1952.